*This is a warning, this post is quite lengthy. Soz. For those of you who don't know of Tribe, it's the new(ish) and innovative way to find influencers for social media campaigns. You chose the price you want the brand to pay for you to post the image you've created and then they either accept or decline your image, they can ask you to make changes, but other than that, there isn't really much else to it. The idea of the app is it should be products you love and would already buy without the money incentive. There are tons of well-known brands on site and they're all looking for a variety of content which I find amazing. The app is primarily aimed at Instagram posts, however, Twitter and Facebook can sometimes be included as an option. To use Tribe you have to have at least 3000 followers on the app of your choice. I joined primarily using Twitter, despite there not being many campaigns, until I built my Instagram following enough to be able to take part in the Instagram campaigns. I feel like honestly with my 3500 followers on Instagram I do often get overlooked when bigger influencers enter their work, but I can totally understand why from a brand point of view. I struggle to include myself in the photos a lot, as I am a *bit* camera shy and I know that can work against me. My photos are similar to my Instagram feed, I always go for colourful and out there shots and sometimes that works for me and other times it doesn't. The honest truth about Tribe is it can get disheartening, some of my best work gets declined and that makes me sad, but then from time to time, I get a series of wins, which draws me back in. For each post I want to take part in, it does involve me buying the item which is why unless I want the item, I wouldn't do the campaign as some products are quite expensive. On a rare occasion, the brand will choose you to be sent samples and then create an image from the sample, to get chosen for this usually they ask you to create a sample image of what you'd do if you were sent the item, which I think is a great incentive. Tribe has a pricing strategy which is based on your followers, however, you can choose the amount you want. Brands can try to knock you down on price, a lot of the time I do set my prices a little bit higher so I'd be happier to drop down a little bit for the right brand. I think dependant on whether you already had the product/ how much it cost to buy would be the deciding factor for me on the rate in which I set also. Sometimes I submit video content which is usually in the format of stop motion so that takes some time to create and then edit, so I do always put my prices up when it comes to creating that type of content. Even Tribe recommends doing so. Each Tribe campaign will come with a set of hashtags and often tells you how many posts the brand is looking for. Recently Tribe has introduced a feature which shows you which campaigns are 'hungry' for submissions so those can be good ones to target if they're something you'd want to get and if your feed fits the brand as this often can be where brands don't think I fit what they're looking for, as my feed can be described as chaotic, bright and out there for sure. But some brands love that individuality and that makes me love the brand even more. So far on Tribe, since I was able to start to participate on Instagram I've almost earned £1000. Not bad right? Some people would disagree for the amount of work that can go into posts with no guarantee of payment, but I am made up with being able to make that much. I thought I'd share some tips on getting wins, I'd love to know in the comments if you've used Tribe and what your thoughts are on the app. So what are my top tips for securing wins on Tribe? As simple as this sounds, you are likely to get approved if you have previously featured similar posts. If it is a whole feed on home, putting a random beauty picture up is likely to stand out more, so the brand is likely to decline. When taking a photo for Tribe I like to be able to create at least 3 different shots to allow the brand to have more choice, I usually go for a close-up, a flatlay and then a wide shot if possible. For Tribe, I always take an extra set of photos either with the product in it but not as obvious or taking it out so it can still be used on your feed. Brands put up photos on their campaign page of pictures they like and these usually have a theme. You are more likely to get approved if your photo fits what they're looking for as a brand. On the campaign, it also says what they do and do not want. It's important to follow these, as even if they like your photo if it has one of the don'ts which is on the list it is likely to be declined. It's always worth checking the app daily as new campaigns are added all of the time. You don't want to miss out on one you may have been perfect for because you didn't see it. Often the brands have a time limit on how long they will keep up their post for e.g. 10 days but if the budget is used up quickly or they receive a lot of submissions the campaign is usually taken down. I recently saw an amazing one with one of my favourite brands but once I'd taken the photos and edited them, they had already taken down the campaign which was a bit disappointing, but I am happy to still use the picture. Like we all want to secure the wins and some of us are able to do so easier than others. But the more you submit, you get to learn what works on tribe for you and your style and what doesn't. You also learn what you can do differently if you decide to take part in a future campaign with that brand as brands do often leave you feedback. Plus sometimes they have to decline your photo due to using all of their budget, but that doesn't say anything bad about you, it just says to try again next time. 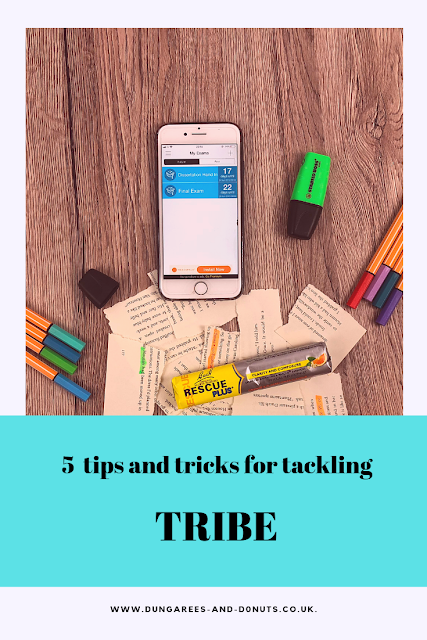 I hope these tips have helped you with your Tribe journey and I'd love to know in the comments if you've secured any Tribe wins? This was an interesting read - I've heard a lot about Tribe (both good and bad) and I've loved reading your insight into the way it works. I've been using Tribe for a while. It's really great. Your lengthy post as worth the read. I have heard a little bit about Tribe and haven't really paid enough attention to it. Reading your post though gave me some insights and I'm glad I came across this. Thanks. I've heard a lot about Tribe but haven't used it myself. This a really helpful post for anyone like me and new to it. All of the photos on here look beautiful, it's such a shame they were rejected. I've been using Tribe for years but I'm not really mad about it. I think you can end up spending a fortune on a product because you think it would be a good fit for your Insta and then end up losing your money instead of making it because they turn you down. I'm so behind in the Blogging world this is bad! I have so much to catch up on haha.